Yoga has great advantage for people who practice it in a consistent fashion. If you are also keen to know the best of yoga, being a part Rishikesh Yoga School would be the best recommendation to go by. It would be the most suitable platform to learn the whole range of asanas, pranayams, yoga philosophies, etc. Moreover, the enchanting environment here helps the practitioners in quick learning the techniques. Yoga in Rishikesh has been there since the inception of the term itself. It has been one of the most preferred destinations among the yoga enthusiasts from over the globe. Top institutions like Hatha Yoga School encourage such enthusiasts for greater studies by helping them in achieving their yoga career goal. These institutions employ thoroughly certified instructors in different domains of yoga study, starting from philosophy, anatomy, physiology, meditation, to yoga cleansing, as per their expertise level. The best part about our Yoga school Rishikesh is that a student can get to learn the whole range of yoga teacher training course in Rishikesh. Here teachers provide personalized training to the students to fine-tune their technique in the best fashion. Such personalized approach helps the learners in clearing their doubts that can help them in being a better trainer in future. To be specific, we are mostly recommended for Hatha Yoga studies. Hatha yoga basically refers to various yoga poses and asanas. Similarly, Ashtanga Vinyasa is understood as the combination of yoga positions practiced the form of stretching exercises in concurrence with various breathing activities. Coming to Meditation, it is about attaining the inner peace by bringing the body and mind harmony through proper breathing techniques. One can learn all these through our all-inclusive yoga ttc in Rishikesh, India. 100 hour yoga teacher training is the most basic yoga learning program. It is the quickest way to learn different aspects of yoga. Our systematic approach of conducting 100 hour yoga training program makes things even easier for the learners to understand different principles of yoga. 200 hour yoga teacher training at Hatha Yoga School is meant to advance the practice level and to help people in learning different dimensions of yoga techniques. The primary intention of the course is to boost confidence among the practitioners that can be helpful for them in training others. Our 200 hour yoga teacher training Rishikesh is conducted by extremely experienced professionals having years of experience. 300 hour yoga teacher training program has been designed to make someone as a certified yoga instructor. Here at Hatha Yoga School, we cover both the theoretical and practical aspects through our courses. Primarily, we aim at preparing the students for the most flamboyant career through high-end teaching standard. Our 500 hour yoga teacher training program is meant to make you a confident yoga trainer in future. This is ultimate for of yoga courses in India that is preferred by the top institutions from across the globe. The highest level of yoga is said to be achieved when the practitioner attains spiritual enlightenment. And, this can happen only when yoga, pranayam and meditation are practiced in equal proportion. This is the only way one can move through the path of spiritual healing, tranquility, and can attain the ultimate liberty from all forms of sufferings. Meditation is thus considered the seventh limb that can help the practitioner in attaining the state of Samadhi. Be it about a beginner or someone already expert, our hatha yoga teacher training in India can help everyone in achieving the ultimate goal. Modern day people are very much aware of yoga. They want to make it a part of their lifestyle. People have understood it well that yoga can give them a healthy and immune life. It’s also great to see the increasing number of people showing interest these days in making awareness about yoga and its benefits. Our yoga center in Rishikesh is the perfect center for them to reach and learn yoga to create awareness among others. Yoga has been absolutely encouraging for the pregnant ladies. It is the best way to minimize the labor pain and make the ladies confident. Regular practice of yoga makes the muscles much more flexible. We offer the best pregnancy yoga training at our Rishikesh yoga school, for those who want to be the future yoga teachers and help the pregnant ladies. Kid’s yoga ttc in Rishikesh India is basically an activity for the kids to help them in getting greater flexibility and core strength. Yoga can boost their mental growth as well, as of the physical growth. It sharps their concentration level and boosts confidence. Anyone who has realized about the greater career scope associated with yoga and wants to make the most of it should definitely join our yoga teacher training programs. They are given the flexibility to join the study program as per their expertise level. For example, they can join straightaway for the 200 hour yoga teacher training if they have already done 100 hours programs. We provide the best facilities within our campus, starting from Wi-Fi, quality foods, air conditioners, to special practice sessions. 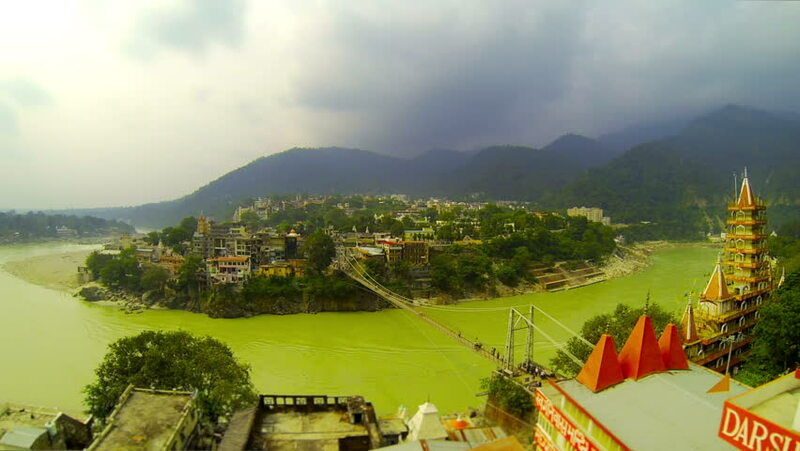 Yoga and meditation in Rishikesh is popular around the globe. Exquisite geographic location and scintillating climate of the place makes it the most enchanting for yoga practice. Making things even more exciting, we provide absolutely superior level facilities for both the kids as well as the trainers of higher level. The joint effort of Sivananda Yoga and our expert teachers has been providing the best facilities. Strategically planned courses, experienced groups of teachers, and high-end facilities have made us the most successful yoga teacher training service provider.